The major growing season of Guar cultivation is coming near. The farmers of Rajasthan, Haryana, Punjab and Gujarat are planning to go for guar cultivation as much as possible. It was a time when the farmers of irrigates area used to discuss about the farm input of cash crop like cotton, paddy, groundnut. Now the scenario has completely changed. the Farm input stores are full with Guar seeds and Insecticide and pesticide of Guar Crop. Earlier the cost of cultivation for guar crop was very low because farmer used to do farming with local seeds without any chemical pest control. The good stable rate of gaur seeds has changed the whole scenario. Farmers are planning to take guar as first crop. After looking the complete picture it is expected that the area under guar cultivation will increase 15-20 % in irrigated Guar growing belt of Rajasthan, Haryana, Punjab and Gujarat. In the raifed area Guar will also replace the other legume and cereal crops. There is also some mixed news from the other states like Maharashtra, M.P. Andhra Pradesh, Tamilnadu and Karnatka. It is expected that area under Guar cultivation will also increase in these states. Overall the total area under Guar cultivation will increase from 20-30 percent. The meteorological predication of good monsoon will help farmer to take decision about the Guar Crop. The good Monsoon will lead to timely sowing of Gaur crop and good return to the farmers. Even there was high rate of Guar seed during the last year but there was no any major impact on the export demand of Guar Gum powder from India. The Export of guar gum is almost same as 2012 export in quantity. There was complete control of the stocking activity due to high rate as it was more risky to stock guar seeds at high rate. This year there is stock of guar seed but not with the stockist, it is with the farmers. Farmers are sowing the tight supply of Guar seeds. That is leading to stable rate of Guar seed. The Guar has changed the principle and law of Economics. At the higher rate there must be loos supply and flood of commodity in market but it is sowing tight supply. The same thing was happened in Ireland during world war, the consumption of Potato was increased at the increasing rate of Potato. But it is big question that will the scenario of Guar will be stable in coming Year. The farmers are expecting the same and sowing the guar in this expectation but the study is showing the different picture. The area under guar cultivation will increase and that will lead to the increase in production. This produce will also flood in the market. The good arrival of monsoon will also increase the production in the existing guar growing belts. Whatever the price will be in the next year, it will be actual demand supply - ratio price without any artificial infecting factor and the rate will stable. The stable rate t will lead to the positive environment for the Guar business in world. Forward Markets Commission / Govt has lifted the ban from the trading of Guar seed and Guar gum in forward market. Two major forward market, Multi Commodity Exchange of India ( MCX) and National Commodity & Derivatives Exchange Limited (NCDEX) has started the trading from 14th May, 2010. The trader and farmers are positive about this step.They are looking that in near future the rate of Guar Seed and Guar Gum will go up. Since one year Farmer and trader were waiting for future trading of Guar seed and Guar Gum. They were hoping that the rate will go up just because of the open trading. The future contract will be taken on higher rate. If we compare the scenario of today and year before of the Guar seed & Guar Gum. It has completely changed. Earlier the farmer were not too much aware, they used to flood the commodity in the market and the stockist went for the stoking. The crop was a low profile crop which was mostly limited up to Rajasthan. It was very easy to play in the market. But Now the scope of cultivation area of crop has increased Domestically as well as globally. The major are has increased in the neighboring state of Rajasthan in Punjab, Haryana and Gujarat. becouse the climatic condition are suitable for Guar cultivation, People were not taking the crop just because of the low price crop. 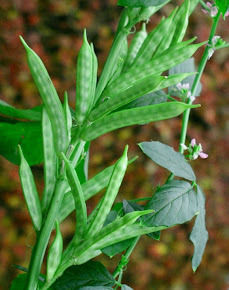 Globally the Area under guar cultivation is coming under cultivation from Austarlia, Africa, USA and China. New area is also increasing in the state like Andhra Pradesh, Maharshtra Utter Pradesh and Madhya Pradesh. This will also affect the supply of the guar seed in the market. The market will feel some loose supply. But at another hand the farmer of native place of Guar from Rajsthan has become educated /aware. They have changed their way of selling the commodity. They are showing very tight supply. Now they sell the commodity in the market as per their daily requirement. This tight supply will also effect the future of commodity. The actual scenario will be changed after five-Six Months. Just because of tight supply of Guar and Guar seed. It is hard to estimate the availability of the Guar Seed with the trader , middleman and farmer. After the five-Six month the new crop will come in the market. If the market is saturated then it will flood the market other wise it will keep going on regular track. At the other side the Data of Export of Guar gum from India are positive. there is no any significant change in comparison to last year ( Guar gum was around 90,000/ Qt and this year 27,000 / Qt ). That is good indication. Yes there is some decline but the is just because of the stable rates. Last year initially the rate of Guar gum was 10,000/qt and it slowly and slowly it went up to 90,000 / Qt. At that time Govt banned the future trading of the Guar Seed and Guar Gum. The Guar Gum powder manufacturer are regularly buying the Guar Gum split from the market. That also indicates the stability of the demand. 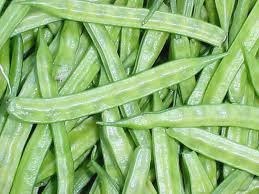 Any way removal of ban from the trading of Guar seed and Guar gum in forward market can effect the price for short term. In the Long term the demand and supply will decide the rate. Make it clear they can be risk in stoking and manufacturing where one go for purchasing from the market/ farmer. For the cultivation point of view there is no risk. Farmer can adopt it whole the parts of plats are useful for farmer. Multi Commodity Exchange of India (MCX) will commence futures trading in guar seed and guar gum contracts from today (14 May 2013). The commodity markets regulator, Forward Markets Commission (FMC), has given approval for trading in guar seed and guar gum June 2013, July 2013, October 2013 and November 2013 contracts in order to facilitate price discovery and price risk management in the guar complex. The trading unit of the guar seed and guar gum is 1 MT (metric tonne) each and price quote for the contracts is ex-warehouse Jodhpur, inclusive of sales tax/VAT. These are compulsory delivery contracts with Staggered Delivery Tender Period for the last 15 days. 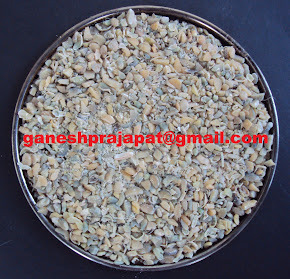 The physical delivery would be available in multiples of 1 MT for both guar seed and guar gum. The basic delivery centre for both the contracts is Jodhpur and additional delivery centres include Bikaner, Nokha, Sri Ganganagar, Hanumangarh and Barmer in Rajasthan, Deesa in Gujarat, and Adampur and Sirsa in Haryana. Tick size for both guar seed and guar gum contracts is Re1 per 100 kg. The initial margin required to trade is 10% or based on SPAN, whichever is higher. As an additional risk management measure, pre-defined special margins are included in the contract. The special margin of 10%, which is over and above the initial margin, will be imposed if prices rise by more than 20%. Further, for every 10% rise in prices, the special margin charged will also increase by 10%. Additionally, if prices increase by more than 50% in the June and July expiry contracts, a special margin of 70% will be imposed. The guar seed and guar gum open position limits for a member collectively for all clients is 12,000 MT or 15% of the market wide open position, whichever is higher, and for individual clients it is 2,400 MT. The near month limits shall be applicable for 20 days prior to expiry of the contract. The near month limit for a member collectively for all clients is 4,000 MT or 15% of the market wide open position, whichever is higher and for individual clients it is 800 MT. The position limits shall be applicable for all contracts traded on all exchanges. The guar gum open position limits for a member collectively for all clients is 3,000 MT or 15% of the market wide open position, whichever is higher, and for individual clients it is 1,000 MT. The near month limits shall be applicable for 20 days prior to expiry of the contract. The near month limit for a member collectively for all clients is 600 MT or 15% of the market wide open position, whichever is higher, and for individual clients it is 200 MT. The position limits shall be applicable for all contracts traded on all exchanges.